This is Abie Siegel’s second Walkathon. You may remember that she wrote us a great blog post to close out our Captain Countdown last year! Abie is excited to walk again this year because: “I love the bond between complete strangers in these types for situations where all you know is that you are present and walking for the same reason. 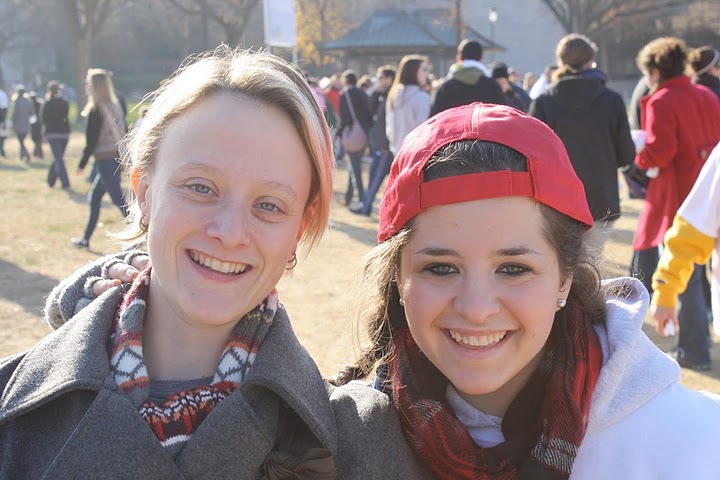 Abie (right) in her red Calvary cap at last year's Walkathon! To support Abie, visit her Walkathon page (here)!